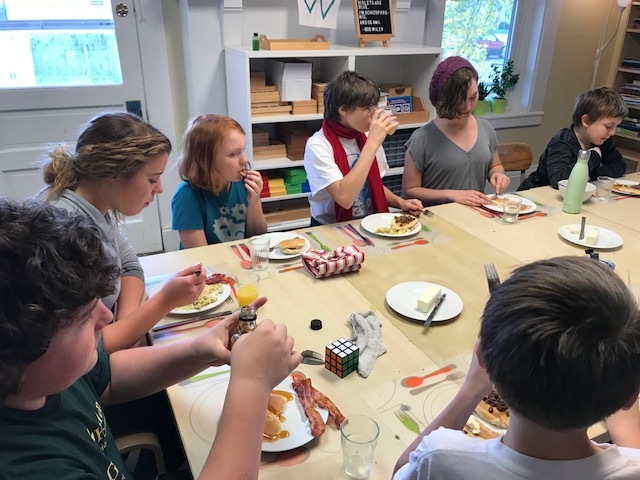 On Wednesday the Upper Unit brought back a fun experience from last year: Breakfast Club! 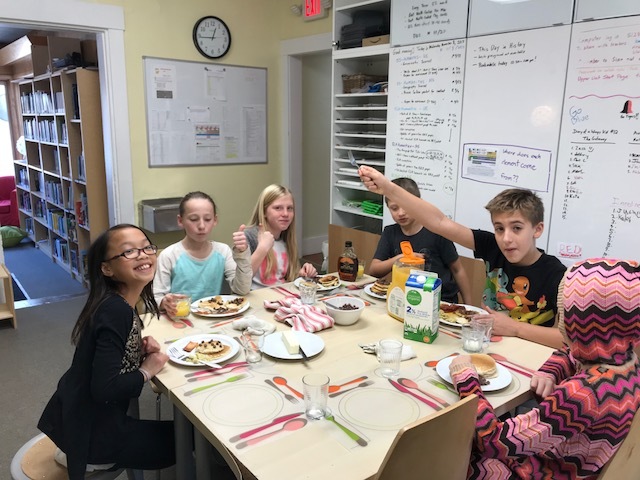 A group of students planned “breakfast for lunch”, went to the grocery store and did the shopping, and prepared and cooked a meal for their classmates. 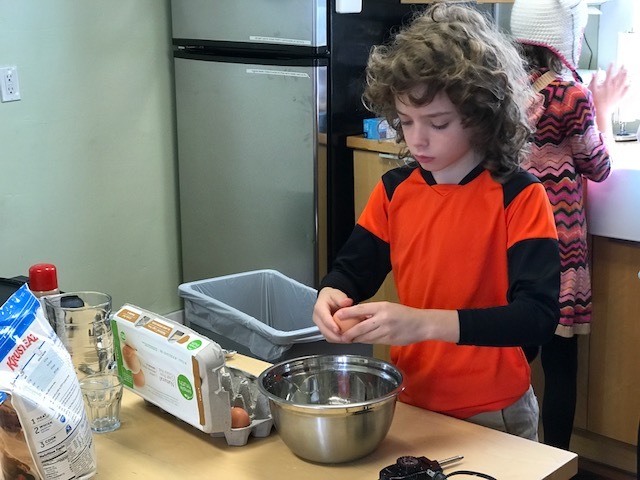 We had pancakes with maple syrup, bacon (and veggie bacon), scrambled eggs, milk, and orange juice. 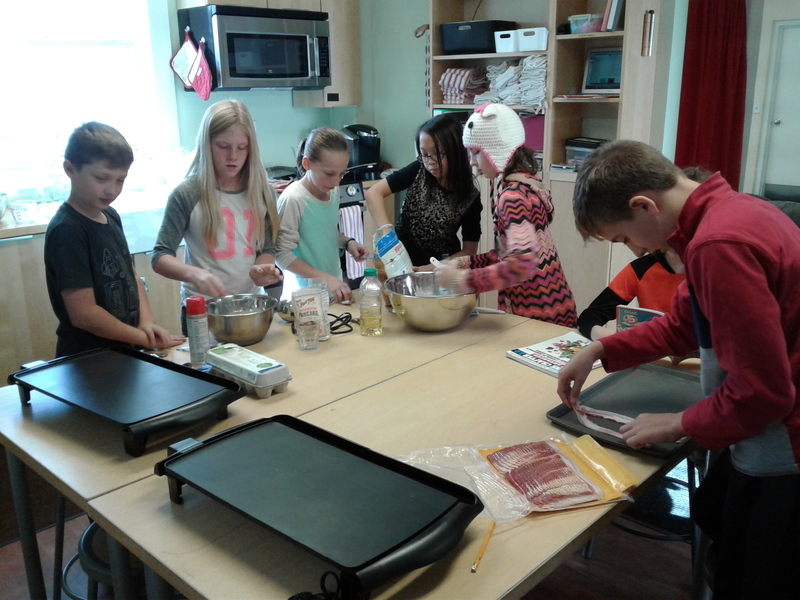 It is a great Practical Life opportunity for the students as they learned about food costs and the time it takes to prepare a meal. 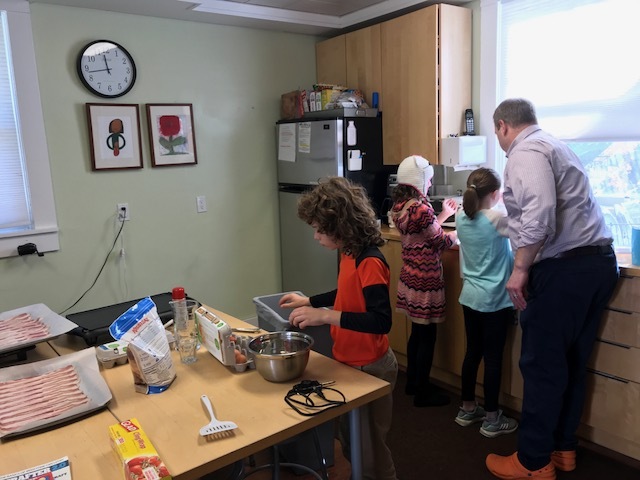 Everyone enjoyed this special lunch, and the Breakfast Club was able to experience the sense of satisfaction that comes from serving others and bringing them joy. This entry was posted in cooking, McGuffey, practical life, upper unit. Bookmark the permalink.